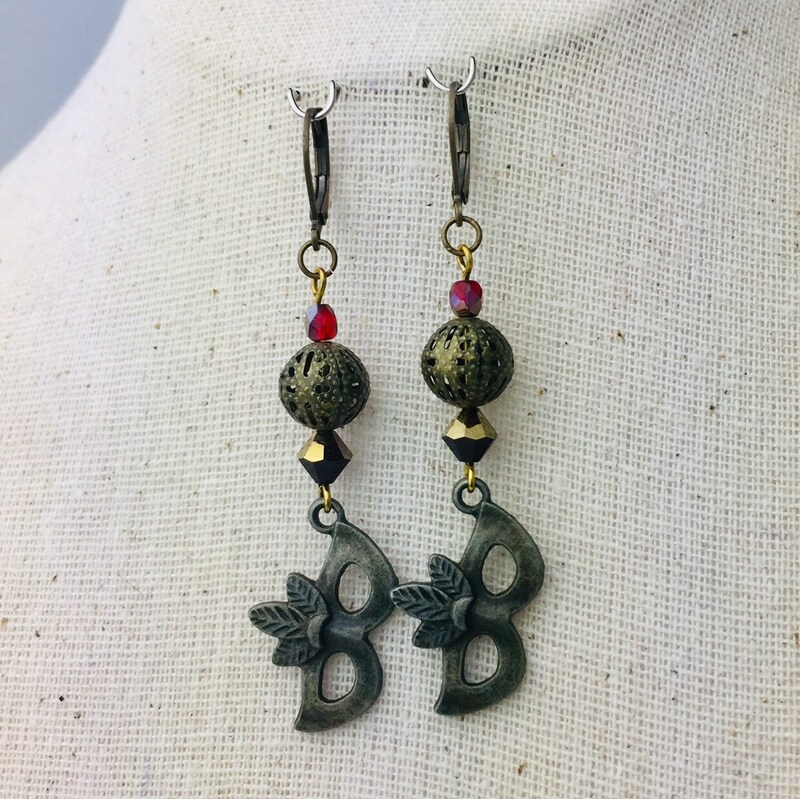 Mardi Gras masks set off wiht sparkly glass beads and oxidized brass filigrees make a pretty little pair of holiday earrings! Bronze earring wires are lead and nickel free. Your earrings will be placed in a pretty organza gift bag and carefully packed for shipment. Please report any shipping damage or problems within 7 days of receipt and we'll get you all taken care of. We are deeply committed to providing our customers with the same service we give our family and friends and want you to think of us when you think of great service (and beautiful, unique jewelry, too, of course)!